Great t-shirt! Heavy duty, fits great! Love this shirt! Can't wait to order more. Great looking shirt with bold colors, fun graphics, and most importantly a good, solid shirt that fits true and isn't paper thin cheap. Couldn't be happier with the quality. Keep the fun ideas coming! Great shirt from a GREATER band! Bought this for my husband and he loves it. The design is cool and creative. The shirt is nice and heavy not that cheap thin crap and fits true to size. 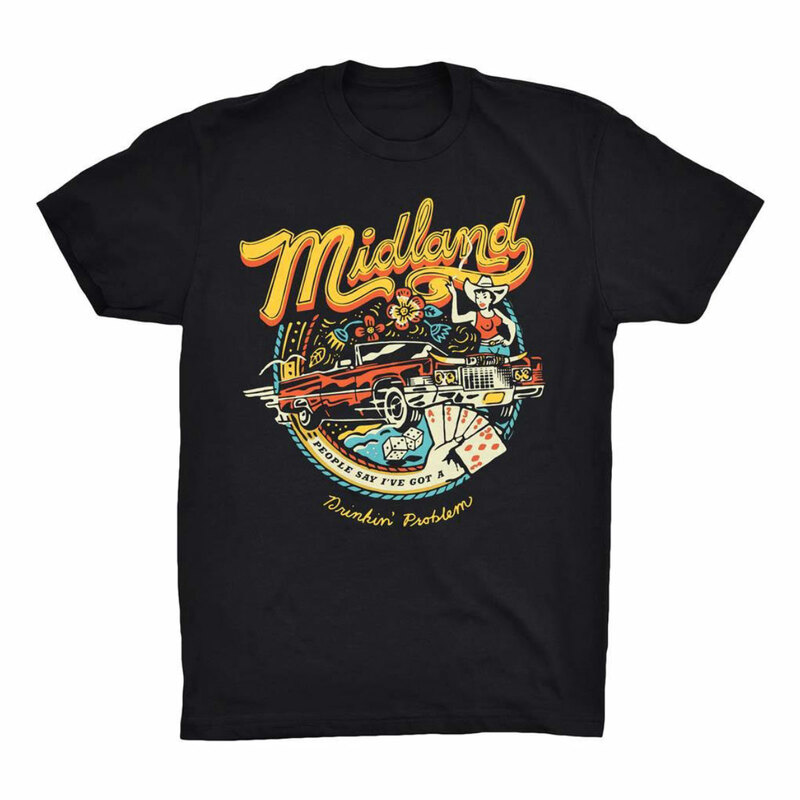 We love midland! Thanks for having the best band merch! A "Drinkin' Problem" tee for me and one for the wife - they're totally awesome! The "On The Rocks" Tour poster is on dis play in my music studio in my home. A welcome addition; quality hard stock pic o' The Boys. 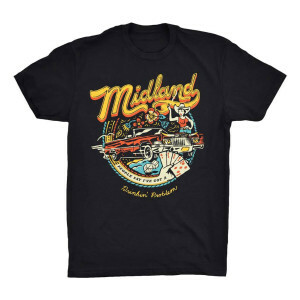 Already rec'd  "Altitude Adjustment" Tees from the site - all good quality tee shirts, colorful graphics, would recommend to all. GO MIDLAND!! Got this for my husband, size was XL and it fits perfectly.